PORT MORESBY: The Opposition has associated Hela Governor Anderson Agiru’s purported removal by the assembly with the government’s issuance of the landowners’ 4.27 per cent equity share in the LNG project. Its leader Don Pomb Polye has described the move by the provincial assembly on Tuesday as a ‘work of power hungry politicians and another plot by the government to suppress the governor,’ who has spoken openly against the transaction. “We believe the purported removal of the Hela governor is another plot by the government to suppress him. 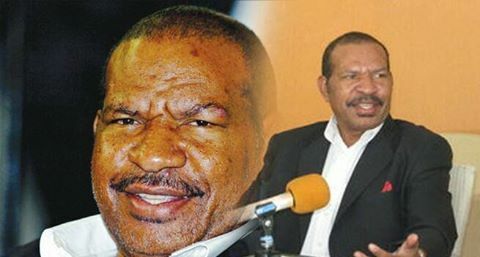 “My Hela-Opene brother has spoken openly against the government’s move to mortgage the landowners’ 4.27 per cent equity share in the LNG project through the issuance of the sovereign bond to fund K2.1 billion deficit in 2016 Budget,” he said. He said ‘the first, similar conspiracy was carried out’ by the member-elect for Ijivitari against Oro Governor Gary Juffa early this year. “I can smell a rotten rat in the plot. “Inside sources told me that those engineered the plot are the same politicians responsible for the failed removal of Governor Juffa, who was opposing the government on policy and decision matters,” he said. He said on Agiru’s case, if those allegations against the governor were true, he had the right to clear his name in the courts and not through the no-confidence vote. He said he doubted whether his ‘purported removal’ was a right act. Polye has queried why the government, which was so concerned about stability, now creating instability among the leaders in the province.